In a previous blog I explored the move from GPON to NGPON2 fiber architectures, as telcos look to deliver gigabit speeds to their users. Things have been moving fast in the area of passive optical network (PON) architectures, so this post provides an update on developments and also covers how cable companies are meeting the challenge of providing greater bandwidth to their subscribers. First, let’s look at cable companies and their existing fiber architectures. One of the little secrets of the cable industry is that, despite what the marketing might say, the last drop relies on coaxial cable with a copper conductor, rather than fiber to the building itself. While this is designed to deliver better performance than the copper used within the networks of incumbent telcos, it isn’t the full superfast fiber network that some cable companies might have you believe. Why is this – and why does it need to change? 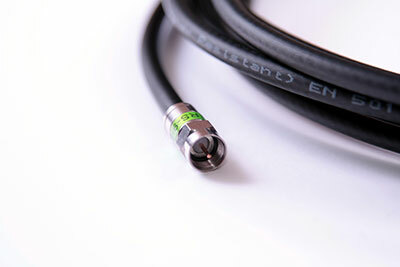 Current cable TV networks are mainly based on the Hybrid Fiber Coaxial (cable) or ‘HFC’ principle. This feeds an active street cabinet with optical fiber cables where the optical signal is converted to the electrical domain and transported to the premise by coaxial cable. The disadvantage of this approach is that it necessitates large, powered active street cabinets that present CAPEX, and especially OPEX, challenges. More than just cost, the need for change is being driven - as within the wider communications industry - by a need to deliver higher bandwidth. The cable industry has realized that it needs to offer gigabit speeds to compete with FTTH and even G-fast copper networks, and has therefore come up with the Data over Cable Service Interface Specification (DOCSIS) 3 standard. DOCSIS 3 enables individual channels to operate at between 30.34 and 42.8 Mb/s, with higher speeds possible by bonding (effectively combining) channels. The latest implementation, DOCSIS 3.1, does away with discrete channel sizes and provides greater flexibility to the provider to tailor bandwidth to customer requirements. No wonder that some cable companies are even trumpeting the benefits of DOCSIS 3 in their marketing. However, the existing HFC cable infrastructure is not best suited to delivering DOCSIS 3.1. The best replacement would be a PON system, but GPON and GEPON aren’t suitable, as cable TV systems operate in the radio frequency (RF) spectrum and so the physical layer network needs to support this. This has given rise to RF-over-Glass (RFoG) technology. Whilst RFoG alone is adequate, it is much better to combine it with a fiber PON to give RFoG-PON, which has greater capacity. How does this work? With traditional HFC systems, optical fiber runs to an active cabinet and coaxial drop cables supply customers at speeds up to 152 Mb/s. However, in the case of an RFoG-PON/DOCSIS 3.1 arrangement optical cable feeds a deep cabinet(s) where the signal is split to carry content to customers over optical fiber drops. The splitting system, just as with GPON, can use passive optical splitters and so the need for powered active cabinets is removed. In this way a 10 Gb/s or greater downstream signal can be configured to give up around 1 Gb/s to each user. Altogether the modulation systems that can be used with DOCSIS 3.1 enable a 40 Gb/s PON to deliver service out to an unexpectedly distant reach of 40km. In the premise a specific RFoG transceiver (ONU) is required, such as this triple-play device. Meanwhile, over in the telecoms segment of the high speed broadband market, change is also underway. Fiber to the Cabinet (FTTC) technology has been reasonably successful in that it has increased broadband speeds from single to double digit Mb/s up to a maximum of around 80 Mb/s. In a previous blog I explored how copper transmission systems such as G.fast will be able to boost some customer speeds above even the 152 Mb/s provided by existing HFC and DOCSIS systems – and BT in the UK is currently running its first G.fast trial. However, the actual delivered speed depends critically on the distance to the fiber cabinet and on the condition of the copper drops. That’s why operators are also looking at the possibilities offered by NGPON2 in terms of capacity. The first NGPON2 deployments are now in the planning stage, with Verizon planning its first deployments for early 2016. Verizon is keen to exploit its large investment in an optical physical layer; not surprisingly, it has addressed its first NGPON2 offering at the premium business market, where it will provide 10 Gb/s wavelengths (x4) to give a truly symmetric 40 Gb/s PON. The system will even include tunable laser-equipped ONUs to give customers as much or as little capacity as they are likely to need. Whilst it’s easy to see why business users may want gigabit speeds, it’s worth noting that residential users may not be too far behind, at least if Nielson’s Law holds true. That suggests new applications will push high-end Internet speeds to around 1 Gb/s in developed nations by around 2020. The single most important development driving these high downloads speeds is 4K (Ultra HD TV). In theory, a single 4K TV channel needs a downstream bandwidth of approximately 20 to 30 Mb/s for streaming without buffering. For commercial reasons, live sport is likely to be the first content type provided and pixilation, buffering and blurred motion is unacceptable. Therefore one of the leaders, BT, believes a minimum speed of 44 Mb/s is needed. Typical FTTC speeds are a little less than this. So, for telecoms carriers, their future lies with a mix of G.fast, (legacy) GPON and increasingly NGPON2. Inevitably, people will ask "which is best - RFoG-PON or NGPON2?" In many ways, it is of course the wrong question. Both systems arose due to the different origins of cable operators and telcos. 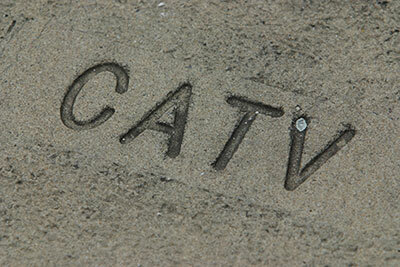 CATV operators started with broadcast media and then needed to accommodate Internet and VOIP service, while telcos started from a mirror image position. Neither are in a position to entirely abandon their heritage. But, we can safely say all-optical physical layer networks will prevail, irrespective of the transmission technology used over them.